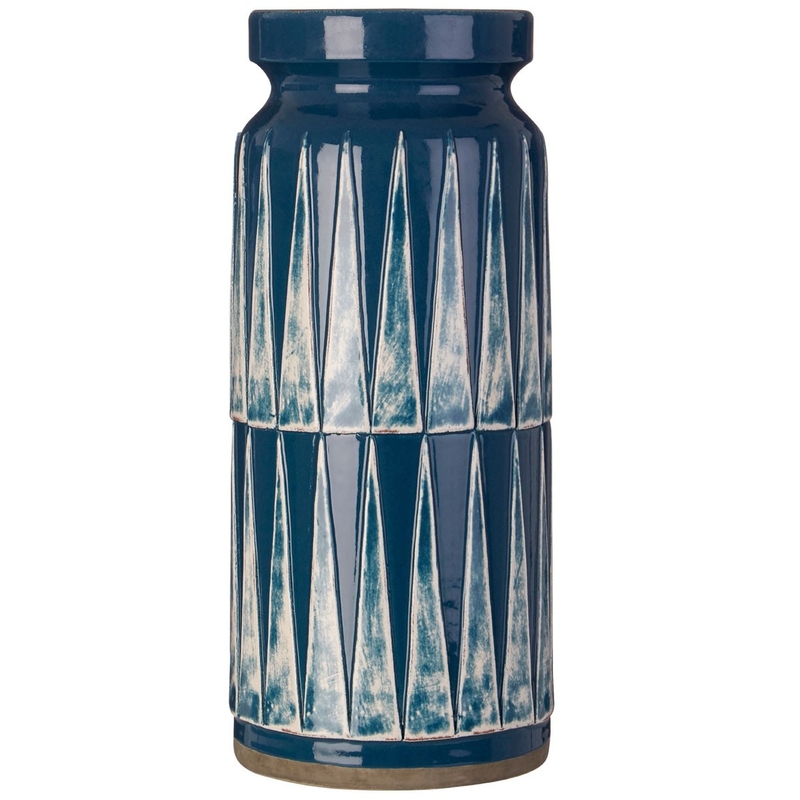 Make your home feel a lot more furnished and unique by introducing this gorgeous Complements Large Theo Vase. This vase has a splendid design that takes shard-like triangles and forms them into a geometric pattern. This pattern is then given a contrast of different blue colours, and a glazed surface to make it look especially modern and homely.